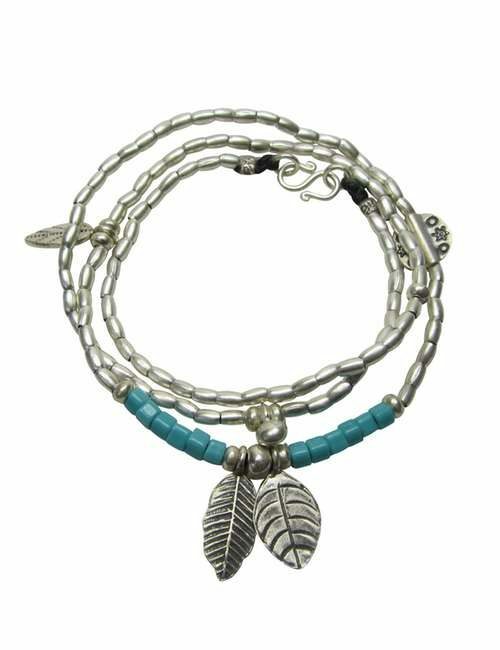 The perfect bracelet to wear solo and never take off, it features 3 sterling silver strands with mixed charms and flat disc gathering into 3 aqua frost glass beads. 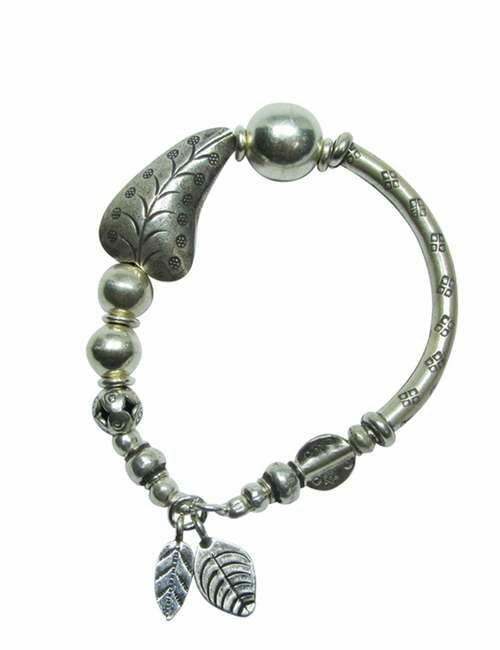 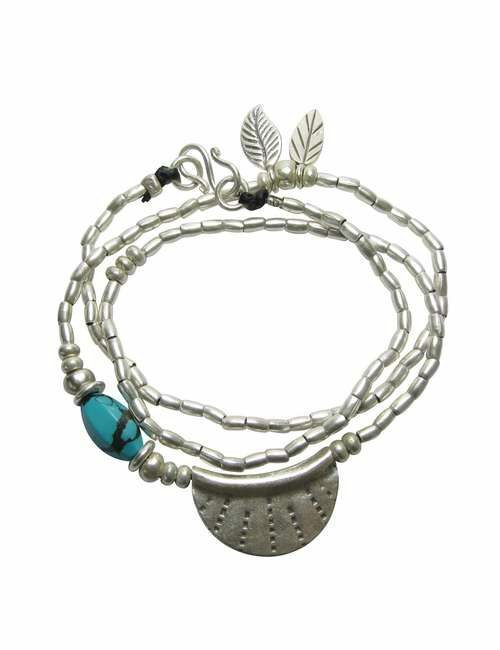 Connects via a sterling silver toggle clasp with a single swaying silver leaf. 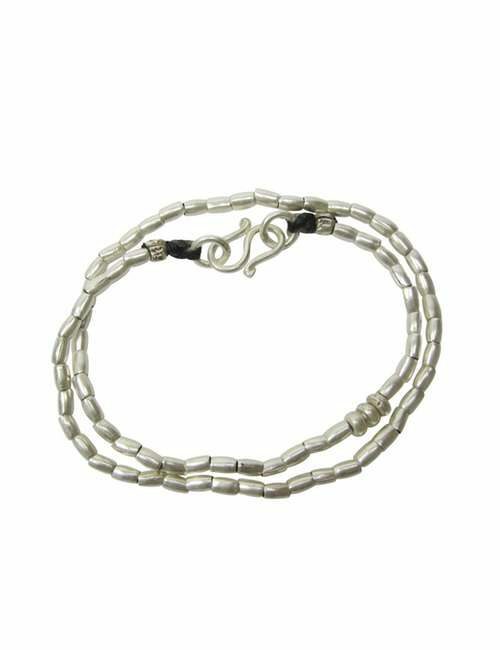 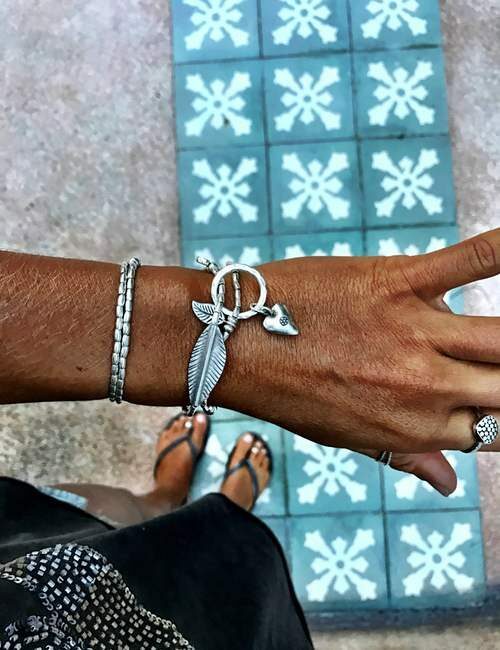 This is a loose fit bracelet so should sit where your wrist meets your hand (just under the wrist bone).